MERCEDES — Mexico’s water deliveries to the United States are slightly behind after it had paid down its debt last year. That status update from Sally Spener, the foreign affairs officer for the U.S. International Boundary and Water Commission, during a public meeting Wednesday of the Lower Rio Grande Citizens Forum, more than a year after the commission announced that Mexico had paid down its Rio Grande water debt to the United States. The bi-national International Boundary and Water Commission is responsible for applying boundary and water treaties between the United States and Mexico and settling differences that come up related to the treaties. 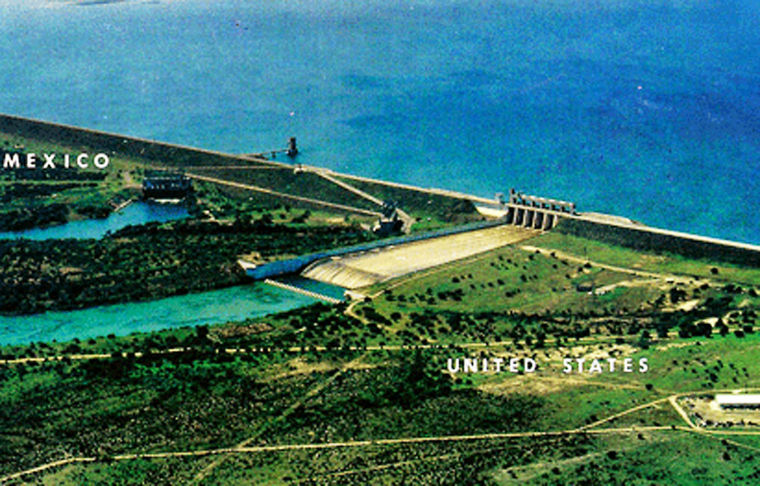 A 1944 water treaty between the two countries, which covers the Rio Grande from Fort Quitman to the Gulf, entitles the United States to one-third (at least 1.75 million acre-feet) of the water flowing down the Rio Grande from six Mexican tributaries over five years. An acre-foot is the amount of water it takes to cover one acre one foot deep. Debt had accumulated over the course of a five-year water-delivery cycle that ended in late October 2015, according to IBWC United States-Mexico. The United States has always met its delivery obligation, Spener said. The 2010-15 cycle ended with Mexico still owing 263,250 acre-feet, and the treaty stipulates that any remaining debt be paid within the subsequent five-year cycle. Mexico, in response to the debt, delivered enough water to erase the shortfall within three months — making the final delivery on Jan. 25, 2016. Despite’s Mexico’s ability to quickly pay down the debt for the last cycle, the current cycle is behind on its deliveries, Spener said. Mexico argues the reason is the debt they had at the end of the last cycle contributed to the current deficiency. The current five-year cycle, which began in Oct. 25, 2015, and ends Oct. 24, 2020, with a total of 1.75 million acre-feet expected to be delivered, Spener said. She said to alleviate the current debt, the commission has been meeting to with Mexican officials to work out a plan for implementing short- and long-term strategies, including developing modeling tools and a naturalized flow approach for equitable distribution of waters. Spener said Mexican stakeholders are also working on long-term domestic solution to resolve the shortfalls in the basin. Barring any major issues, like a hurricane, Spener said they expect to receive the last of the water deliveries for the current five-year cycle by Oct. 2020.